Myriad partnered with The Sony Alpha Imaging Collective to capture the beauty and stunning landscape The Northern Territory has to offer. 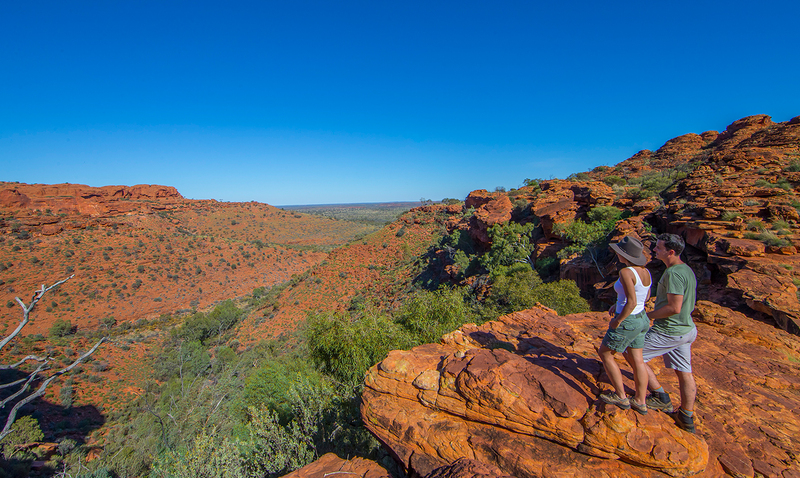 Australia’s Northern Territory isn’t exactly the most popular destination in Australia. But you can’t tell us it’s not the most beautiful. Myriad’s longest standing client, sometimes referred to as simply “the NT,” is the real Australia. It’s the iconic rust-colored and wide-open Outback, but it’s also the green, lush and tropical Top End. The NT competes with top destinations like Sydney, Melbourne and Queensland’s Great Barrier Reef – and with the understandable deterrent of an additional flight and more travel time, we needed to show consumers what they were missing when they stayed glued to the coast. 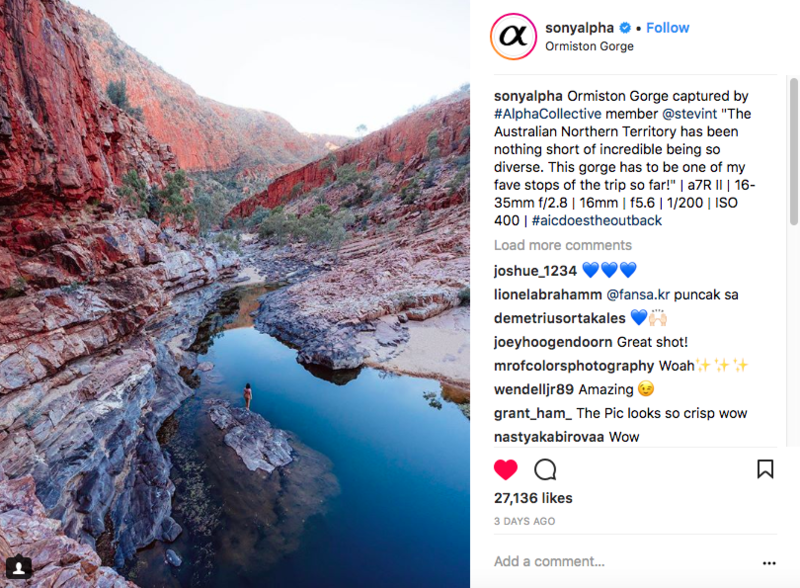 Tourism Northern Territory hosted 10 Sony Alpha Imaging Collective members for a total of 12 days, touring them around both the Outback and the tropical Top End. 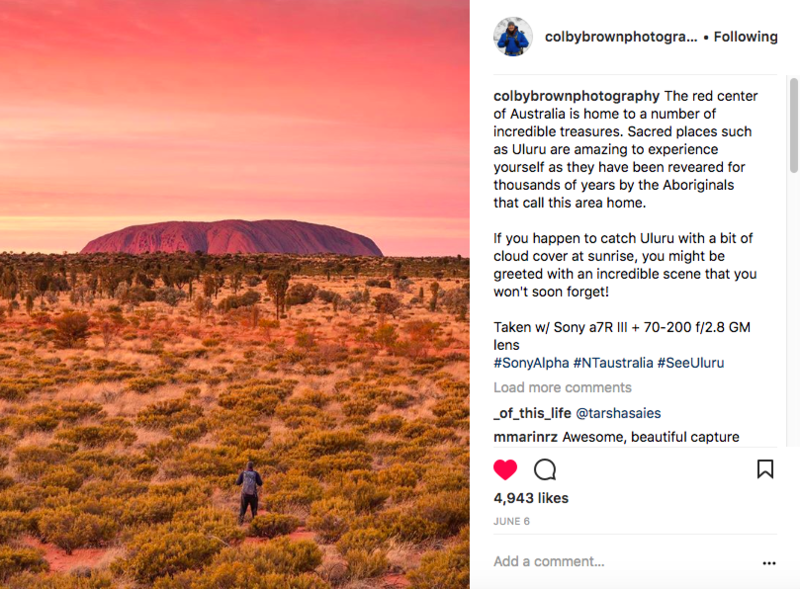 The photographers were encouraged to share photos on their Instagram accounts in real-time but were not contractually tied to any specific number of posts or hashtag usages; we sincerely thought the destination would speak for itself – and it did. 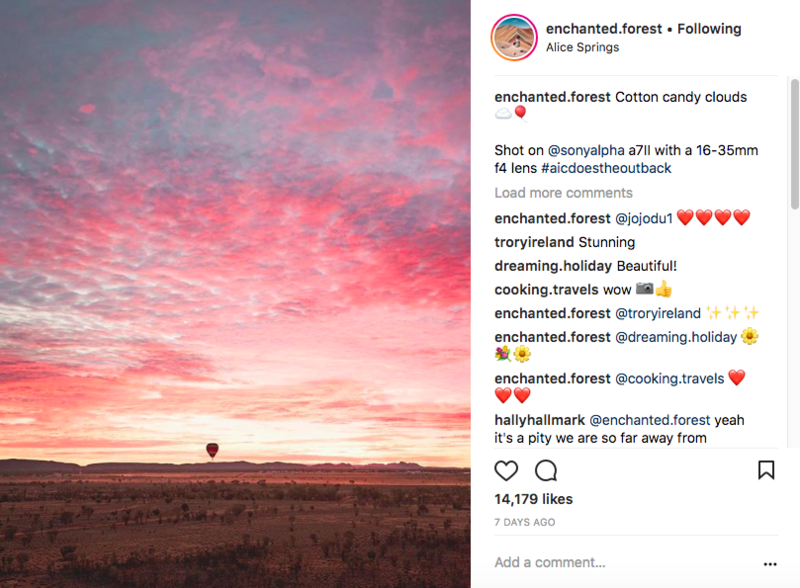 Our efforts with the Collective to date have earned Tourism Northern Territory more than 125 organic Instagram posts with a collective exposure of nearly 25 million Instagram followers. The imagery featured a wide variety of landscapes and experiences, showcasing the breadth and depth of all the NT has to offer. These stunning visuals have earned a whopping 658,000 likes and counting – with the #NTAustralia hashtag used nearly 100 times. In addition, Tourism NT has the rights to repurpose the Collective’s images on social media channels and now has a bank of incredible images to choose from when initiating marketing and advertising campaigns. Here is the official Sony Alpha Imaging Collective Recap video of the experience.